Bedding configuration is 1 queen & single in one room. Other room with 2 singles. Table with 4 chairs. Tea & coffee making facilities also available. 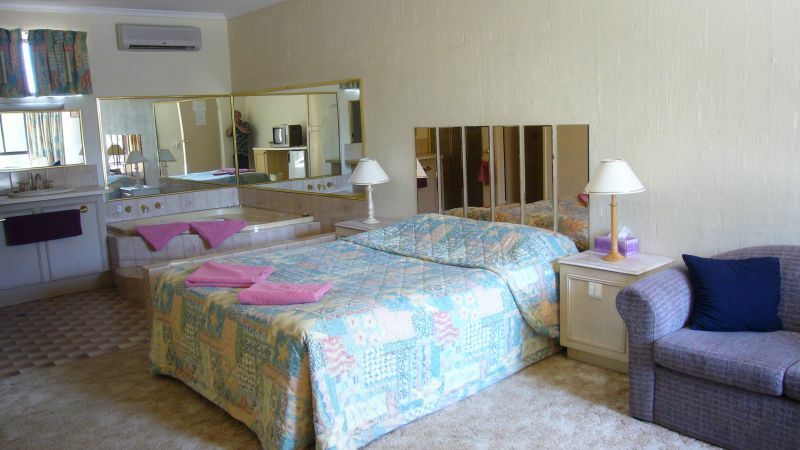 El Sierra with 41 newly renovated superior quality, self-contained and family units, provides better class accommodation designed to make your stay in Cobram/Barooga relaxing and enjoyable. A holiday you will want to experience again and again. Just across the road from the Golf Club clubhouse and a stroll form the Sports Club. 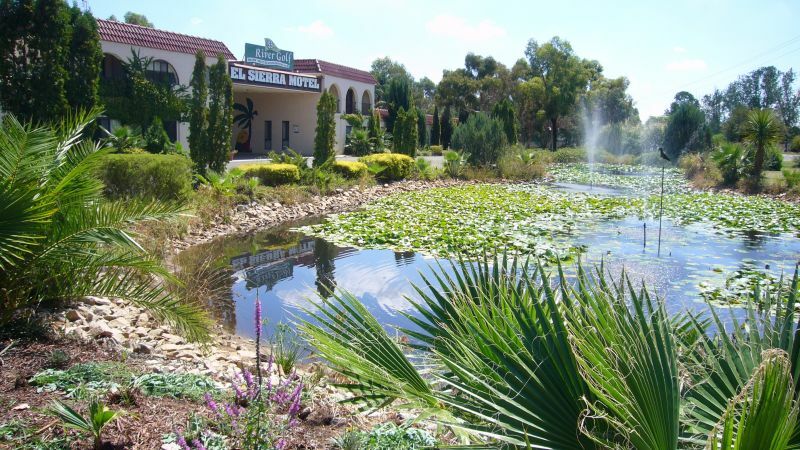 Placed in the middle of two superb golf courses, El Sierra is centrally located to all great golf courses along the Murray and is the perfect base for enjoying some of the best golf on Australia. Brilliant weather and a host of attractions on Australia's renowned Murray River.